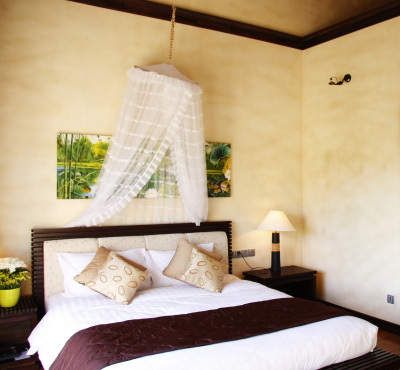 Set within its very own bungalows, Diamond Bay is a naturalist’s wonderland where the stunning environment – combinations of rivers, mountains and the ocean – is an attraction in itself. At our Diamond Bay Resort & Spa, you can enjoy a luminous private beach of soft white sand caressed by sapphire waters, an impressive landscape with lush mountain tops beside enchanting trees designed by our talented gardeners. 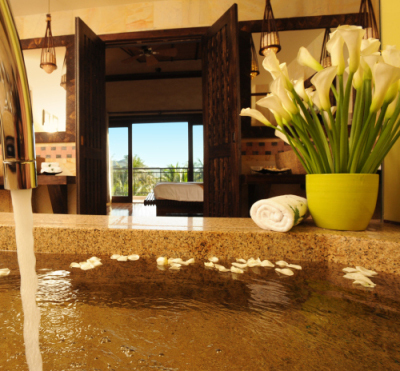 Within its unique quite splendors, you will have a memorable experience. 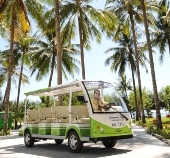 Being endowed with a 200 km coastal line, and nearly 200 islands of various sizes, Khanh Hoa can boast a temperate climate of more than 300 bright sunny days in a year and an average temperature of 26oC. 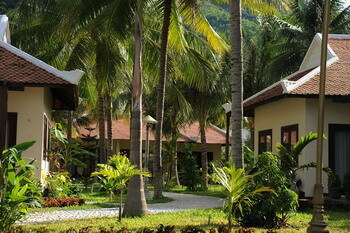 Khanh Hoa has many famous monuments of historical and cultural interest to Vietnam. Nha Trang City is now recognized as one of 29 most beautiful bays in the world. The city is enveloped by mountain ranges in the back, while islands scattered in the sea, protect it from the forces of nature. Nha Trang has numerous dive sites, most notably Mun Island, which is officially protected with the support of the Danish Government. 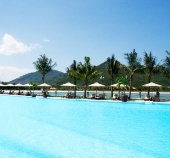 Professional and experienced dive instructors from all over the world ensure guests of Nha Trang enjoy the mysteries of the sea in a fun and safe manner, all the while, full international insurance is in place. 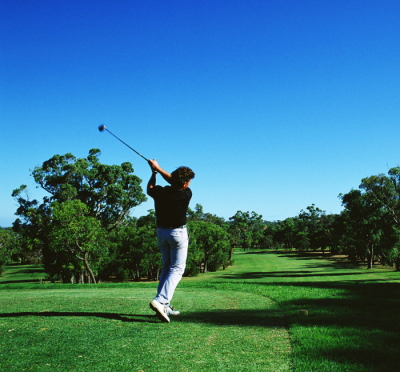 The Diamond Bay Resort & Golf offers a wide range of recreational activities to make our guest"s stay enjoyable and memorable. 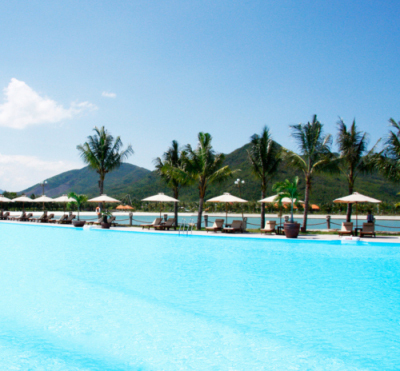 We have Nha Trang’s longest swimming pool, a driving range and tennis court by the sea. 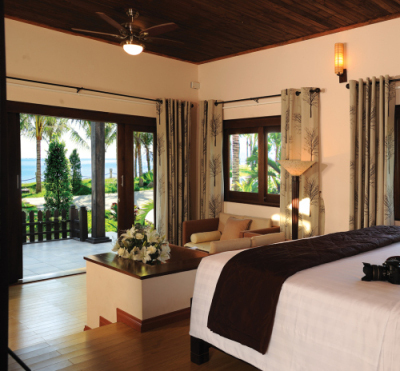 Water sports at a second private beach include: kayaking, windsurfing, jet skiing, parasailing, and fishing. 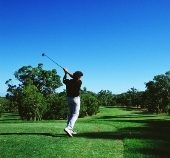 Not to mention, coming in late 2010, Nha Trang’s first 18 hole golf course..FORE! Stay at Diamond Bay Resort and enjoy the only white sand beach on the mainland. Lie on soft sand to work on your tan, or under a row of coconut trees rustling in the wind to find that peaceful state of mind. 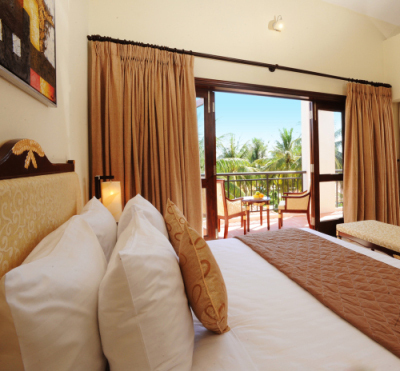 Walk along the beach or frolic in the sun, the choice is all yours. If you decide to get a little sporty, we have kayaks, pedal boats, volleyball nets, and footballs. Diamond Bay features bungalow-style accommodations set within a naturalist’s wonderland that combines rivers, mountains and the ocean. At our Diamond Bay Resort & Spa, you can enjoy a private, white sandy beach set among beautifully-manicured tropical foliage and a mountain backdrop. Room & Villa Diamond Bay Resort & Spa offers guests 342 rooms including 176 rooms in our main hotel and166 “nature-oriented” villas, all featuring private terraces/balconies. 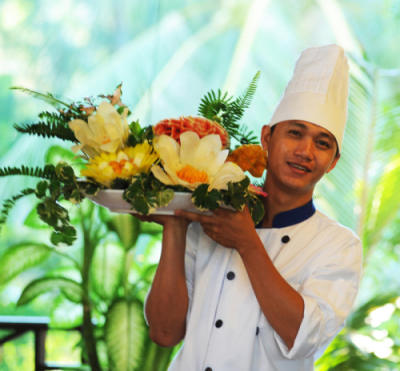 At Diamond Bay Resort & Spa, our 5 star chef and his team can tantalize your taste buds with traditional Vietnamese, Western, and International Cuisine. Using only the freshest ingredients, our cooks deliver temptation at every turn with tasty and healthy cuisine in roomy settings. UNIVERSE RESTAURANT is the main restaurant located in the Lobby with 250 seats and open daily for lunch and dinner, with a menu designed for any palate. 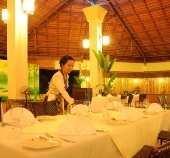 ROSY is an open style breakfast buffet restaurant located beside the beach and near the pool. You will definitely love the open and airy spaciousness while enjoying our generous buffet. DIAMOND BAR is pool-side, serving snacks and beverages of all sorts. Have a swim while waiting for your pizza, or enjoy some cocktails while soaking up the sun! LOBBY BAR serves wine and soft drinks.